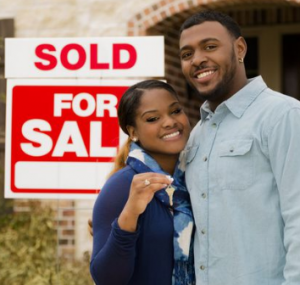 We Buy Houses Fast in Houston, Texas! We are Local Real Estate Investors, not realtors. Just Complete This Quick Form ! We Buy Houses Anywhere In Houston And Other Parts of TX. Check Out How Our Process Works. We’re Ready To Give You A Fair Offer For Your House Today. If you want to sell your Houston house… we are ready to give you a fair all-cash offer. Stop the stress and frustration of owning unwanted property. Let us buy your TX house now, regardless of it’s condition. If you need to sell your Texas house quickly… whether you’re Facing divorce, Moving,Upside down in your mortgage, Avoiding foreclosure, Liens; It doesn’t matter if you live in it, are renting it out, it’s vacant, or not even habitable. We help homeowners like you who have inherited an unwanted property, own a vacant house, are behind on payments, owe liens, downsized and can’t sell… even if the house needs repairs that you are not ready to pay for. Do You Need To Sell Your House Fast in Houston TX ? Here are some bonuses to working with Houston Area Home Cash Buyers. sell my house fast Houston TX today! We’ll know very quickly if we can help you, and unlike selling through an agent, you don’t have to wait to see if the buyer can get financing…”I Need To Sell My House Fast Houston TX!” We’re ready to buy it right now! Hey guys, just got my check at the house. What a feeling! So glad this is over. I remember when I was not a sure about this whole sell your house fast thing. You guys made me a believer. Thanks for proving me wrong and coming through just like you said you were. I appreciate how easy and painless the process was. Hopefully, I never have to go through this process again, but if I do, I’m calling you guys. Thanks ! My wife had called around to get some info to sell our house in different ways and finally found Houston Area Home Cash Buyers. These guys are for real and was professional, courteous of our schedule and made efforts to ensure we could meet at a convenient time. They came out at our scheduled appt, was on time and was very pleasant and understanding. We decided during our meeting that we would not be in need of his services. He was still very supportive of our decision and respectful. After our meeting, I felt it would be a decent service to him to let you know how we were treated. If we have any opportunity to call on The Houston Area Home Cash Buyers team, we will do so.